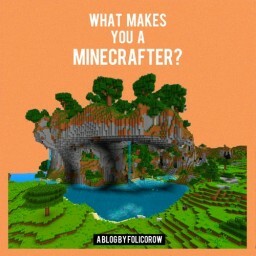 What Makes You a Minecrafter? - Blog Contest #7 : Now Complete! 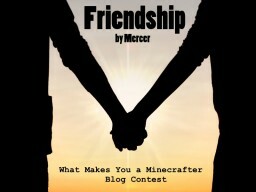 Congratulations to the winners and participants of the What Makes You a Minecrafter? - Blog Contest #7! The final leaderboard of the What Makes You a Minecrafter? - Blog Contest #7! Congratulations! Tulip (Contest 1st Place) - Video Readthrough & Fancy Images Now Included! 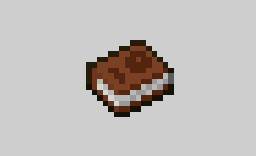 The Mind of a Minecrafter: What Makes Us Tick? 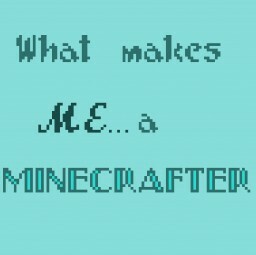 What makes me a Minecrafter? 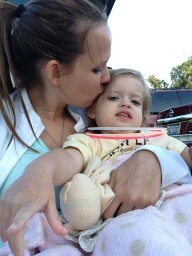 Being a Mom. 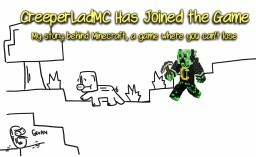 The true beauty of being a Minecrafter - What makes me a Minecrafter?